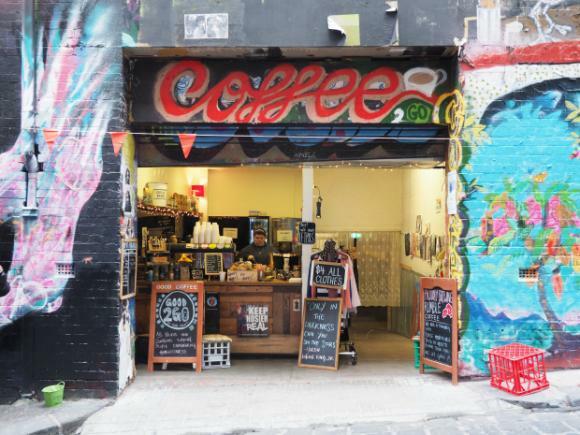 A cafe in the heart of Melbourne’s CBD is using a hands on approach to helping young people who face significant barriers to entering the workforce and developing skills and confidence, writes Ellie Cooper in this week’s Spotlight on Social Enterprise. Eighteen months ago Youth Projects, a Not for Profit which provides health, education and training services to people experiencing disadvantage, opened its social enterprise, Good 2 Go. 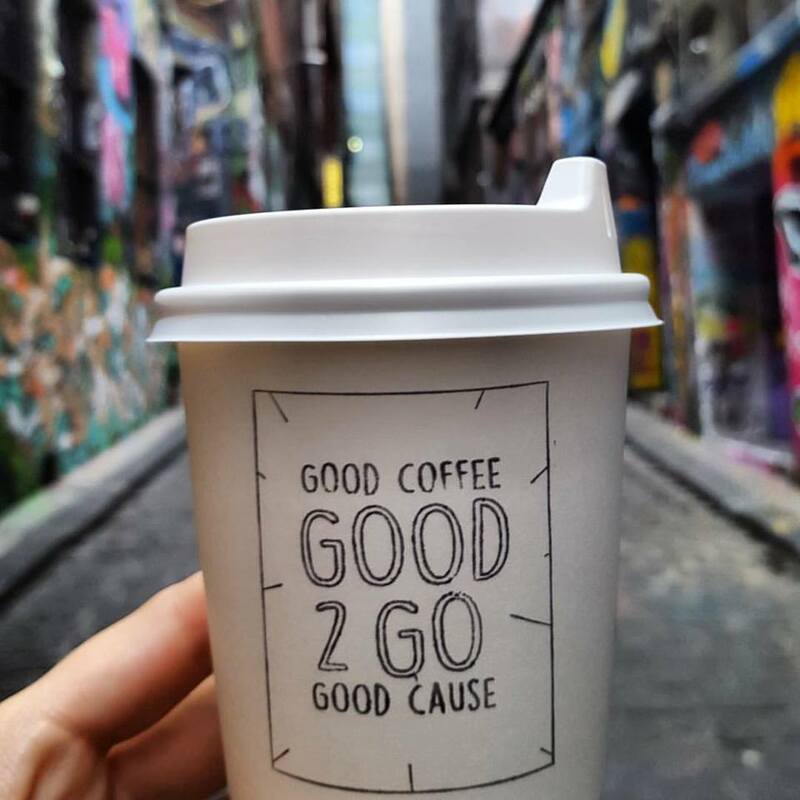 Tucked into Hosier Lane, one of Melbourne’s premiere tourist destinations, the cafe is staffed by the organisation’s clients who receive mentoring in hospitality and life skills, as well as long-term plans to ensure they have the confidence and capability to go on to secure employment. Chair of Youth Project’s board of directors, Melanie Raymond, said that the idea for Good 2 Go addressed a combination of imperatives. 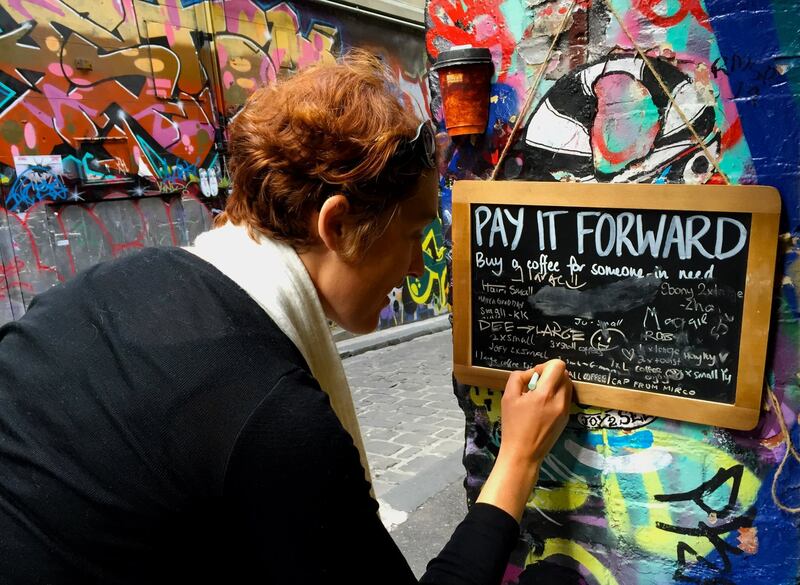 “Charities needed to look to new income streams and use their assets more wisely, which meant that we had property in a high-value, high-exposure location in Hosier Lane, where we could put that to better use,” Raymond said. “But more importantly, as an organisation dedicated to providing opportunities to young people, particularly those facing disadvantage, we wanted to create the work experience opportunities that they were not getting access to and that were holding them back in the job market. She said the concept development lasted for 12 months before the organisation “just dived in”, and budgeted the cost of the fit-out and employed a cafe manager to oversee the training. “If we waited for it to be perfect, we’d still be thinking about it today,” she said. “We’re running a complex care facility… employing doctors and nurses and social workers, and we were suddenly having to learn about the price of coffee beans and milk frothing techniques. While the profits from Good 2 Go are channelled into Youth Projects’ homelessness services, Raymond said the primary purpose of the enterprise is to help young people become job ready, while covering its operational cost. “When you are working with young people who may be homeless, mentally ill, recovering from addictions… they are going to take more time to work with, and more investment from us in getting them job ready,” she said. “We look for people who we know will not be able to experience work experience, to access work experience in the mainstream workforce. The cafe is also located adjacent to the organisation’s primary health service, The Living Room, which provides cross-over support for workers. “We have a range of experts on site at all times, which means we’re able to better support people who might have particular difficulties getting into work experience and job readiness, it’s unique in that respect,” Raymond said. “So if a client is facing a difficulty and presents unwell, we’re able to pick that up very quickly. We’re sympathetic to the special needs and problems they might have, and support them through their transition into work readiness, rather than be very unsympathetic and blunt. She said that the young people embraced the opportunity to work, and the impact on their lives quickly became apparent. “Some of them have been very socially isolated and fearful, and we’ve had a very rapid turnaround in their interpersonal skills, where they are laughing, joking, feeling confident, taking on new aspects of the work,” she said. “[We target] the soft skills that are so important to employers around eye-contact, self-confidence, communication, self-esteem and initiative so that they are suited to work anywhere. Raymond also said that the Good 2 Go provides the young trainees with the chance to experience and adapt to a new environment. “Many clients of ours who are in Melbourne’s south and north don’t have experience of coming into the city, it’s not that far away but it’s where the jobs are, so they’re feeling quite excluded,” she said. “We were seeing so many young people who were very isolated and locked into an environment where no one in their neighbourhood has any access to upward social mobility. The atmosphere of Good 2 Go is a significant part of its commercial and social success. 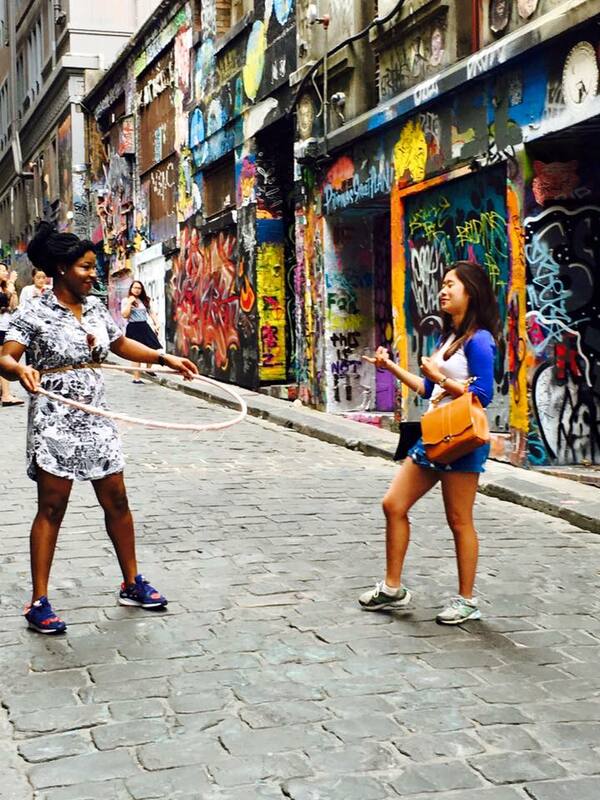 Raymond said each day is full of “colour and movement” with a retro soundtrack that adds to the vibe of the laneway. 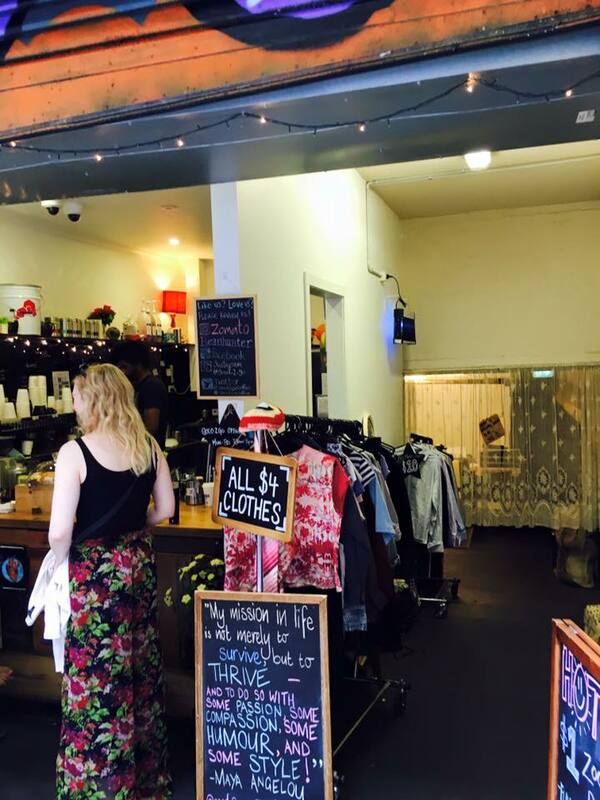 The cafe itself is frequented by tourists, Youth Projects clients from The Living Room, and other Melburnians. It also sells art projects made by clients, as well as second-hand clothing with the proceeds going to the organisation’s women’s group. There is an emphasis on involving Youth Project’s clients in the day-to-day life of the cafe. “We run a lively pay-it-forward coffee scheme because it’s located in the same building as our primary health service, which means there could be 60 or 70 people a day coming through who are experiencing primary homelessness, poor nutrition, they are hungry and they are lonely,” Raymond said. “So the capacity to be able to provide an outlet where they too can enjoy some of Melbourne’s finest coffee was something that we wanted to do as well. Despite the rewarding nature of the social enterprise, Raymond said it’s not without its difficulties. 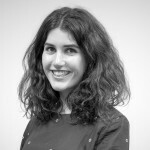 “You’ve got all of the challenges of running a commercial enterprise matched with the challenges of running a charity, all at the same time,” she said. “So our capacity to be commercially driven, yet give our employees much more time and space and investment in their well-being than might otherwise be the case in strictly commercial enterprise, has been one of the challenges. Because Good 2 Go is designed to have a direct social impact, rather than serve as a purely commercial venture to drive revenue, the expectations of its profitability need to be managed. “I think the revenue potential is too small to ever possibly fund high-impact programs, but there are a wide range of additional benefits that come with doing that, in terms of opening up opportunities for people who are marginalised, in terms of changing the way you think and changing the skillset of your employees,” Raymond said. Nevertheless, there are plans to grow and develop the enterprise, adding to both the revenue streams and the services for clients. “The phase two will be expanding the menu and therefore the training experience for the young people we’re working with,” Raymond said. She said there are also plans for Youth Projects, as a Registered Training Organisation, to run other enterprises. “We are going to link up the cafe experience with a new enterprise in Glenroy, at our headquarters there, and open up an expanded operation and run programs that involve clients in the production of food for sale in the cafe,” she said. “You can have a group of women looking to overcome homelessness working in a life skills program that also teaches them cooking skills, and how to work behind the scenes of a commercial operation. Amazing work-well done. Vacro are doing a social enterprise coffee cart outside sunshine court when cart interior is fitted out. Would be interested to link you in with Vacro. I am a board member there.